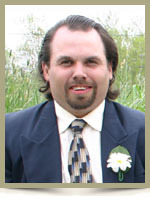 Roy, Ashley Edward , 37, of Liverpool, Queens County, passed away on Thursday, March 22nd, 2012, at home. Born in Liverpool, he was a son of Rosemary Wamboldt, of Kingston, Nova scotia and the late Edward Roy. Ashley will always be remembered for his affectionate smile. He loved to go fishing and hunting. He is survived by a sister Tammy (David) LeBlanc, of Liverpool; brother Tony (Amber) Roy, of Brooklyn; niece Alexis Roy, of Brooklyn. Our prayers goes out to the family at this time .I didnt know him but whenever I saw him he would always have a smile on his face .Put your faith in God and he will get you through this .May GOd bless you. My Dearest Rose, Our Sincere Condolences to you and your family. Frank and I have heavy hearts just thinking of you at this time of sorrow. Its never easy loosing a child. May God be with you and comfort you. May you find some comfort down that long road ahead. Tony, so sorry to hear of the loss of your brother. We are so sorry for your loss, our thoughts and prayers are with you at this time. Keep your memories close. We are really sorry to hear of your great loss. Our thoughts and prayers are with you all at this time. So sorry to hear about Ashley. Aunt Rose, Tammy and Tony if theirs anything i can do just call. Ashley always smiled when he seen me anywhere. He will be missed by all. Find comfort in each other to get through this rough time. Is thinking of you all. I am so, so sorry to hear of your loss. Please know that I am thinking of you and sending prayers your way. Words are of little comfort for you now I know. But faith and prayer will help….keep the memories and share them often. My deepest condolences to you and the rest of the family. Sorry to hear of your loss.His smile will always be remembered,and his love of fishing,He always seemed the happiest when fishing. sorry to hear about the passing of my nefew ashley. my thoughts and prays are with all the family. r.i.p. ashley. So sorry for you loss, my thoughts are with you all. Ashley being silly with John in your pool will be a special memory and I am sure you have so many more….hold them close. I am so sorry to hear about Ashley,every now and then he would come out and see me for a good chat.My thoughts and prayers are with you all. Rose ,Tony ,Amber and family,Tammy and family ,so sorry to hear about your loss,you are in my prayers and thoughts ,R.I.P. Ashley gone but never forgotten. Tony, Tammy and family: We were sorry to hear about Ashley. Our thoughts and our prayers are with your family. So very sorry to hear of your loss, you are in our thoughts and prayers. So sorry to hear about Ashley.Everytime we would see him he would wave with that big grin on his face.He would come out once and awhile and have a coffee and a chat.Sorry for your loss and our thoughts and prayers are with the family. Rosie and family I am sorry for your lose .Hard to loose a child .Have faith in God to help you through this hard time .Katherine and family .. Sorry to hear about Ashley,Our thoughts are with you. My heart goes out to Ashley’s family in their time of need. I know how hard this is for you all right now, it eventually gets better. Remember all the good times and cherish your memories as that will be what will get you through this hardship. My love and thoughts are with you all in this difficult time. If there is ANYTHING you need, please do not hesitate to contact me. Tony sorry for your loss our thoughts are with you and your family. You are at peace now brother. I am so sadden to hear of Ashleys passing your in my prayers. Words leave you short of your true feelings in times of sorry like this. May God Bless you all and take you in his comforting hands . So sorry to hear this Tammy. Our thoughts are with you and your family. I am so very sorry for your family’s loss. We have had many memories from the past that will always stay with us. Ashley will be greatly missed by all those that he has touched. I will always remember hoe he loved to smile and enjoyed hunting and fishing. Love and hugs to the whole family. I am so sorry for your loss,it was very shocking to hear about ashley’s passing.a lot of memories have come flooding back about hanging out with the western head gang and ashley allways seemed happy that’s what i remember,and will remember about ashley. R.I.P. No words can heal your pain, only time. Find comfort in each other, and hold your memories close. His contagious smile will be missed by many. Tony and Amber, Tammy and Dave My thoughts and prayers are with you . Ashley will always be missed and I hope that your hearts will mend in time. So sorry to hear of your loss. Just know we are thinking of you all. Our Thoughts And Prayers Are With You In Your Time Of Sorrow.May You Find Strength In Each Other To Get Through This Sad Time. Rose & Family – My thoughts and prayers are with you and your family at this time. Keep the memories close to your heart. Sorry to hear about your terrible loss.May he rest in peace. Tony, Amber and the rest of Ashley’s family, I extend my sincere condolences. Take comfort in your fond memories of Ashley. Sorry to hear of Ashley’s passing. Condolences to the family. Sending our love to you in this difficult time. Let us all cherish the wonderful memories we have of Ashley, I know we have so many. Thinking of you all…..
Rose, Tammy, Tony and the rest of your family, I’m deeply sorry to hear of your loss. Ashley will be missed dearly. I knew him and all you guys from way back and even days of dating the handsome fellow. He was never a boring person but vary interesting to guy. I enjoyed those good old days that we once shared togather. Him and I use to traveled a lot to go fishing.Infact he learned me few fishing things about fishing. We use to walk through the woods on couple occasions to hunt. I loved being with him. We’d gone out visiting friends and even gone to the parks. Back when he use to live next door to me for many years growing up, It been a great pleasure seeing him. In those days he always had a warm welcoming smile that’s been burned in my mine of those lovely days of him and I being a wonderful friends, and beloved neighbor. Ashley had always loved to hunt and go fishing. I will miss seeing him out bicycling and fishing.You’ll all be in my prayers. My prayers are being sent to you all at this time. We knew Ashley in school as a student, and we were involved in his admittance in the hearing education class in Lunenburg at the District Board level. Later, Ashley followed his passion in archery and was a frequent customer at our shop, Atlantic Archery in Liverpool. We enjoyed his visits and his hunting stories, We wish to extend our sincere condolences to his family. So sorry to hear of Ashley’s passing. My thoughts & prayers are with you all at this sad time. Keep the memories of Ashley & God Bless. we had to part that was hard for me just wish things have turned out differently once again im so sorry to hear about Ash all of you always be in my heart and prayers thinking of you all remember the good things hold those memories close R.I.P. Ash ,always remembered and never forgotten may u be at peace .